Main Raw Material: PTFE, Xylan 1070, Xylan 1024, Xylan 1052, Xylan 8840 etc. 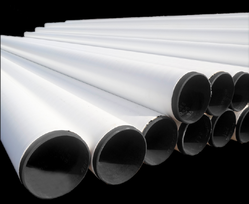 We are one of the renowned manufacturer, exporter and supplier of PTFE Coating. This PTFE Coating is manufactured keeping in mind the requirement of our clients. We are providing PTFE Coating For Moulds to protect sticking of the rubber to the moulds during the manufacture of treads. These PTFE Coating For Moulds make the mould non-stick, corrosion resistant and long lasting. Owing to the quality standards, we have acquired reputed clients such as; MRF tyres, Sundaram Industries Ltd.
We do Teflon Surface Coating job work like Teflon coating, nonstick coating, xylan coating, corrosion resistant coating. 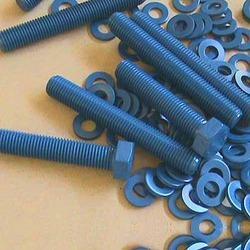 We are offering the best quality array of PTFE XYLAN Coating Services On Bolt to our prestigious clients. PTFE coating uses a two-coat (primer/topcoat) system. These products have the highest operating temperature of any fluoropolymer and have extremely low coefficient of friction, fair abrasion resistance and good chemical resistance. Our PTFE Coated surfaces are both oleo phobic and hydrophobic, they are not readily wet, cleanup is easier, more through and in many cases self cleaning. Self-lubricating, Heat Resistant properties. Temperature resistance upto 250 C and 300 C Which requires no special precaution. The coefficient of friction is generally in the ranger of 0.05 to 0.20, depending on the load sliding speed. We have marked a distinct and dynamic position in the market by providing a high quality Capsule Sealing Rollers PTFE Coating Services. Our company has earned accolades in providing PTFE Coating Service (PTFE Coating Tefflon). Enriched by our vast industrial experience in this business, we are involved in offering an enormous quality range of Moulds PTFE Coating.